Demanding an answer from him, the party also sought an assurance from the Prime Minister that people's money will be recovered, and Nirav Modi and Mehul Choksi will be brought back and punished under as per the law of land. New Delhi: The Congress party on Monday, after giving notices for suspension of all business in parliament to discuss the bank fraud cases, asked why is Prime Minister Narendra Modi silent on the issue of jewelers Nirav Modi and Mehul Choksi. "Leader of opposition (in Rajya Sabha) Ghulam Nabi Azad has informed that notices were given for the suspension of all business to discuss the biggest bank fraud in the history of Independent India. 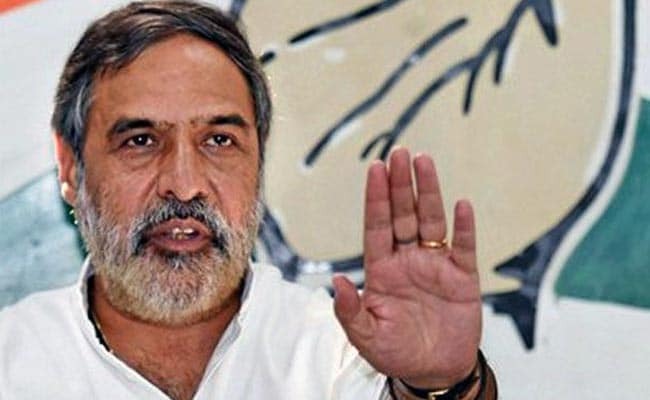 "The loot of public money and the numbers are climbing up, the total amount involved as of now is more than Rs 27,000 crore between three entities -- Nirav Modi, Mehul Choksi and Winsome Diamond's Jatin Mehta," said senior Congress leader Anand Sharma. "All the three had access to the government and the leadership of this government. They were personally known to the Prime Minister," he said. "The Prime Minister's Office, RBI, Serious Fraud Information Office (SFIO) and the Enforcement Directorate received complaints. So, when all the agencies were alerted, how were these people allowed to escape from the country, from the law of the land?" he said. The money of people is not safe in banks, he said.